SOHO, the Solar & Heliospheric Observatory, is a project of international collaboration between ESA and NASA to study the Sun from its deep core to the outer corona and the solar wind. 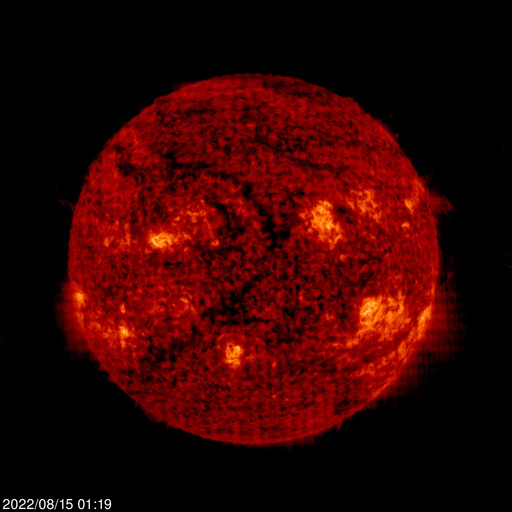 The below images are in near real time from the the SOHO spacecraft. See http://sohowww.nascom.nasa.gov/home.html for more information. 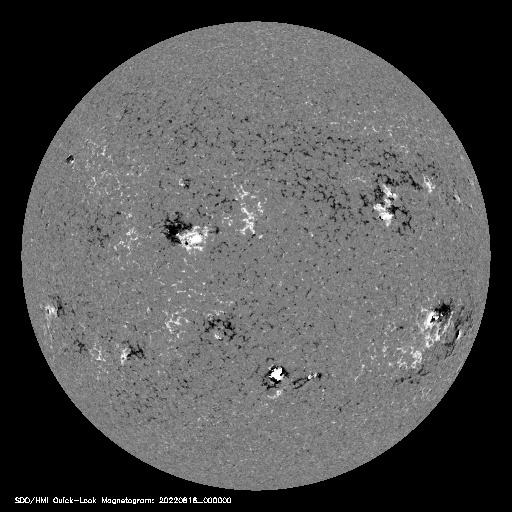 Image#1 SOHO MDI (Michelson Doppler Imager) Continuum Latest Image. Shown here is the continuum near the Ni I 6768 Angstrom line. The most prominent features are the sunspots. This is very much how the Sun looks like in the visible range of the spectrum. 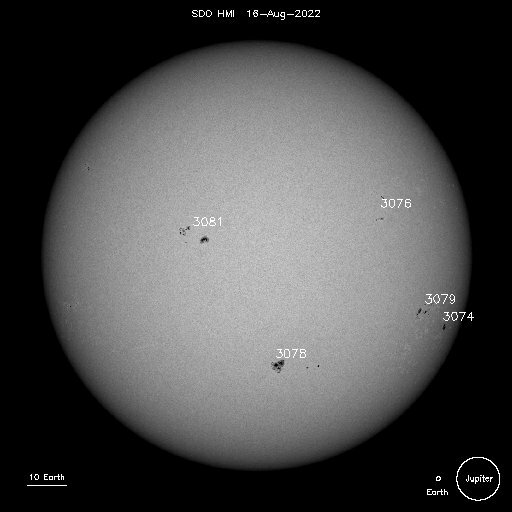 Image#2 The magnetogram image shows the magnetic field in the solar photosphere, with black and white indicating opposite polarities. Image#3 Identified sunspots complete with relative sizes of 10 x Earth diameter, Earth diameter and Jupiter diameter. Image#4 Images taken at 304 Angstrom the bright material is at 60,000 to 80,000 degrees Kelvin. Remember, do not ever look directly at the Sun!